Do you have photos, historical accounts or other items pertaining to the Anoka area? Would you like to share this historical information with the world? LakesnWoods.com would like to publish your Anoka photos (current or historical) or historical accounts on this website. Original materials can be returned and your privacy will be respected. As of the census of 2000, there were 18,076 people, 7,262 households, and 4,408 families residing in the city. The population density was 2,709.0 people per square mile (1,046.4/km²). There were 7,398 housing units at an average density of 1,108.7/sq mi (428.2/km²). The racial makeup of the city was 93.15% White, 2.47% African American, 1.05% Native American, 0.93% Asian, 0.03% Pacific Islander, 0.51% from other races, and 1.86% from two or more races. Hispanic or Latino of any race were 1.93% of the population. There were 7,262 households out of which 30.9% had children under the age of 18 living with them, 44.5% were married couples living together, 12.0% had a female householder with no husband present, and 39.3% were non-families. 31.9% of all households were made up of individuals and 11.2% had someone living alone who was 65 years of age or older. The average household size was 2.38 and the average family size was 3.03. In the city the population was spread out with 24.6% under the age of 18, 11.1% from 18 to 24, 32.2% from 25 to 44, 20.5% from 45 to 64, and 11.6% who were 65 years of age or older. The median age was 34 years. For every 100 females there were 99.2 males. For every 100 females age 18 and over, there were 97.1 males. The median income for a household in the city was $42,659, and the median income for a family was $55,311. Males had a median income of $37,930 versus $27,753 for females. The per capita income for the city was $21,367. About 4.7% of families and 6.8% of the population were below the poverty line, including 9.2% of those under age 18 and 5.4% of those age 65 or over. The site which is now Anoka was first settled by immigrants in 1844. By the mid-1850s, a town had grown, including a school, store, and flour mill. The city was formally incorporated in 1878. 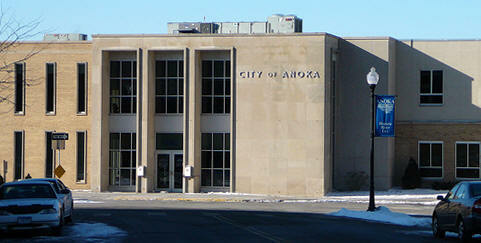 The name Anoka was derived from two Indian words. The native Dakota used A-NO-KA-TAN-HAN, meaning "on both sides", or "from both sides", referring to its location on the banks of the Rum River. 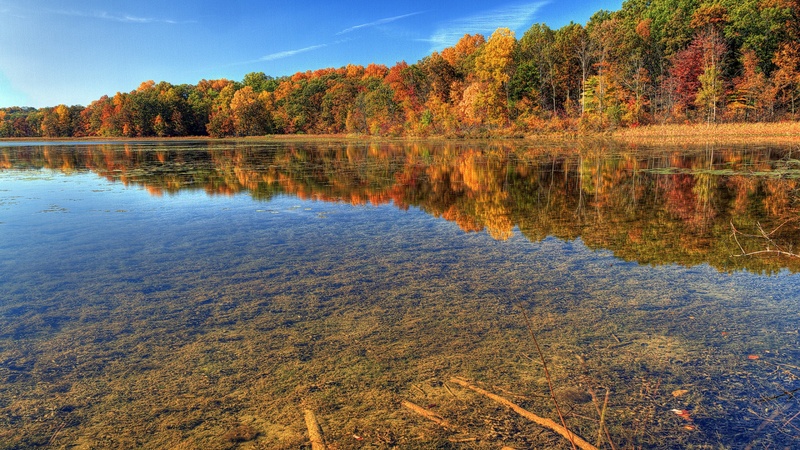 The native Ojibwa used ON-O-KAY, meaning "working waters". Anoka makes a strong claim for providing the first volunteers to the Union Army during the Civil War, noted by a small historical plaque standing at the corner of West Main Street and Park Street. Alexander Ramsey, Minnesota's governor in 1861, was in Washington, D.C. when Fort Sumter was fired upon. He immediately offered a regiment to the War Department, and telegraphed former governor Willis Gorman and Lieutenant Governor Ignatius L. Donnelly that same morning. Gorman, attending a district court session in Anoka, received the note by messenger from St. Paul and called a court recess, asking for volunteers. Aaron Greenwald, who has an "island" named after him on Lake George, and five others stepped forward; Greenwald was the first to sign. He died July 2, 1863, during the 1st Minnesota Regiment's famous charge at Gettysburg. ANOKA was founded in 1850 by Orrin W. Rice, Neal D. Shaw, and others, by whom its name was adopted in May 1853; also known as Rum River by some local residents before 1853; the post office was established while part of Benton County as Decorri, 1852-54, changing its name in 1854. 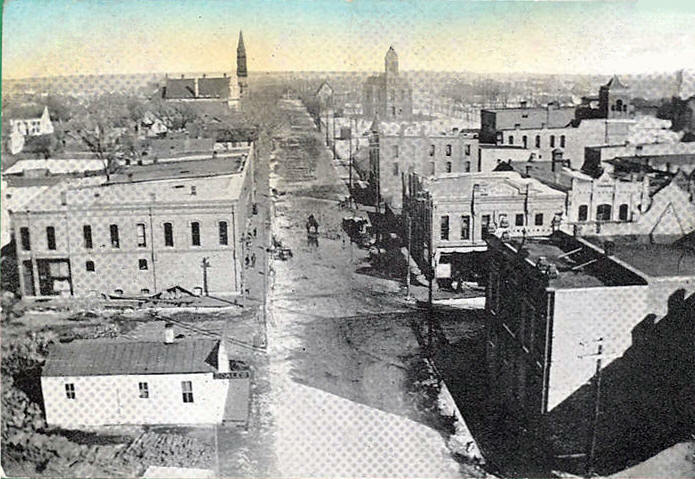 The "City of Anoka" was incorporated by the state legislature July 29, 1858, and later the "Borough of Anoka," March 5, 1869, but both these acts failed of acceptance by the vote of the township. Finally, under a legislative act of March 2, 1878, this city was set off from the township of the same name, the first city election being held on March 12.